The Dodgers and Reds just completed a “monster deal” of a trade, trading Yasiel Puig, Matt Kemp, Kyle Farmer, and Alex Wood to the Reds in exchange for Homer Bailey, who went 1-14 last year, as well as minor league shortstop Jeter Downs and rookie ball pitcher Josiah Gray. Downs and Gray are the seventh and twentieth ranked prospects in the Reds system, respectively. This was pretty clearly done to clear salary off L.A.’s books. The obvious takeaway here is that the Dodgers could be gearing up to make a run at Bryce Harper. However, as Jeff Passan points out, they won’t be able to sign him and also stay under the luxury tax. The Reds... well, the Reds don’t have to pay Homer Bailey anymore, although they’ve already paid him $58 million to be injured, ineffective, or both since 2016. 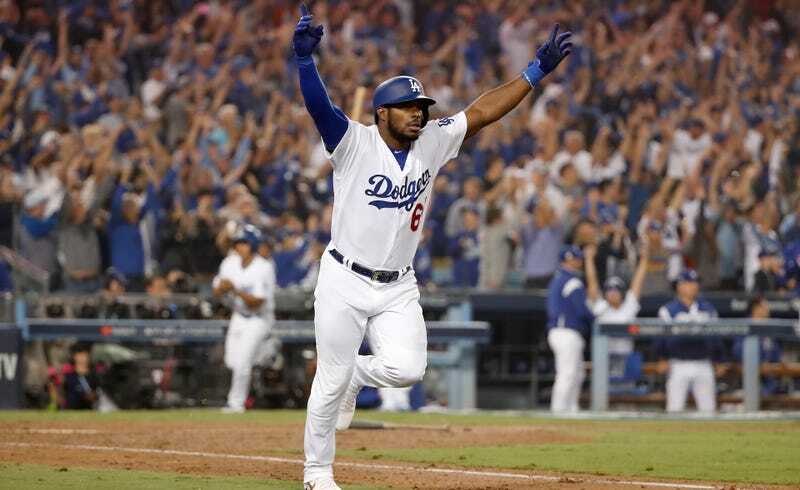 Puig and Wood are good big leaguers and fairly reasonably paid by the standards of good big leaguers, and Puig is also one of the coolest people in the sport. Both will be eligible for free agency at the end of the 2019 season, and the qualifying offer system ensures that the Reds will get at least a draft pick back for both should they leave. Kemp was very useful for the Dodgers in 2018, but at this point in his career is mostly a large salary figure that periodically gets shuffled between various teams; this was the second time that the Dodgers have dumped his gargantuan deal, which will also expire at the end of next year. In all, it’s a very MLB In 2018 trade: a middling team angling to improve somewhat but not tremendously, a rich team getting slightly cheaper—and, if the Dodgers insist on staying under the luxury tax, also getting worse—and everyone talking more about salaries than the baseball players attached to them.